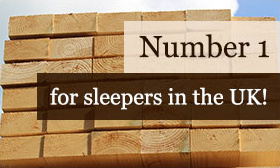 The UK Sleepers story began in 1947 when we started selling railway sleepers from beneath the railway tracks of the UK. 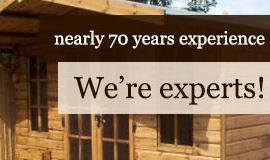 Roll on over half a century and we’ve not only kept pace, we’ve grown and expanded to supply an extensive range of hardwood products, including sleepers, raised bed kits, beams, boards, framed buildings, decking, cladding, fencing, landscaping, gates and flooring among many others! As hardwood suppliers, we wanted to offer our customers everything they could possibly need to improve their outdoor space. Whether you’re looking to add a new entertaining area that’s perfect for those long summer days or simply want to make the most of the small space you have available, we can provide hardwood of the highest quality, whilst our area of operation covers the whole of the UK and Europe with full truck loads arranged to any European location! If you’re looking for durable, character grade hardwood for your garden, our railway sleepers are available in a range of finishes, including contemporary machined and moulded garden sleepers, rustic round edged railway sleepers and mini garden sleepers. We also specialise in custom cut beams and boards, so you’re able to choose between air-dried oak, kiln dried and fresh sawn. Our air dried structural oak beams are ideally suited for home restoration projects, so whether you’re looking to uncover and enhance a period style or add character throughout you home, we stock great quantities of air dried English and European structural oak beams available in most dimensions. As one of the UK’s leading hardwood suppliers, we also stock many ready-made garden fixtures in hardwood, such as Raised Bed Kits, LogLap Planters, Railway Sleeper Tables and Handmade Gates, but you’re guaranteed the same remarkable quality and character you’ve come to expect from our beams, sleepers and boards. We’ve been going strong since 1947. We cover the whole of the UK and Europe. We can supply custom milled timber materials for bespoke requirements. Every vehicle in our large fleet is fitted with a crane for offloading. Our products are much loved by landscape gardeners, farmers and DIY handymen alike. 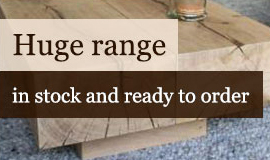 As you browse our website you’ll come across a beautiful collection of inventive and cost-effective hardwood products, and you can buy any of our items online in just a few clicks. Shipping costs remain the same whether 10 sleepers or 50, whilst discounts are available for bulk orders so do get in touch. If you have a rather unique project on your hands right now and require bespoke custom milled timber, simply send us a message or call us on 01536 267 107 – it’s highly likely we’ll be able to help!